Authentic LOVING HEARTS OF PANDORA Silver HEART Necklace 590534CZ NEW w POUCH! New Authentic 925 SIlver Loving Hearts of PANDORA Necklace #590534CZ- 45cm/17.7"
New Authentic SIlver 925 Hearts of Pandora Pendant Necklace 590514CZ -45cm/17.7"
ASYMMETRIC HEART OF LOVE Authentic PANDORA Silver Necklace 397797CZ ADJUSTABLE! 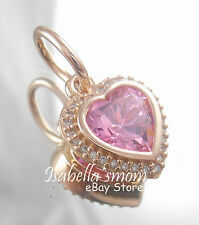 Authentic Pandora Sterling Silver Charm Bead Heart Pink CZ. Trending at $55.00Trending price is based on prices over last 90 days. New! Authentic S925 Hearts of PANDORA Bar Necklace, Clear CZ #397420CZ-50/ 19.7"